Page 2 of the photos from the McCauley side of my family. Single click onto an image to see it at full-size. My great great aunt Margaret Isabella Allan (formerly McCauley, 1867-1934), a sister of John Jnr. McCauley, and her daughters, Lillian Mabel (1895-1971) and Margaret Olive (1902-1976). 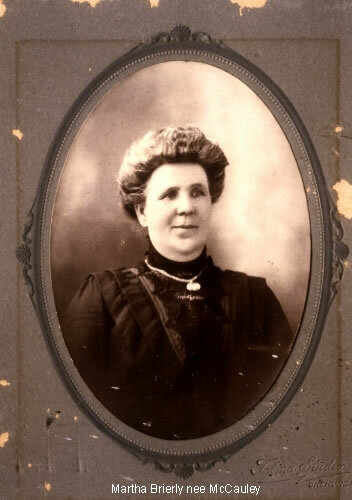 My great great aunt Martha Brierly (nee McCauley, 1863-1932), a sister of John Jnr. McCauley. Martha gave birth to an illegitimate son during the voyage of the Jessie Osborne bringing the McCauley family to New Zealand. Family researchers have recently established that this son was George John (Peg-Leg) McCauley, previously thought to be the son of John Snr. and his second wife, Mary Ann McCauley. Built in 1880, this school was attended by several McCauleys, mainly those born during the early years of the Katikati settlement. Built in 1884, this was the place of worship of the McCauley family. A number of family marriages and funerals took place in this church. The interior of the church. Eliza Jane McCauley is most likely to be the "Mrs. McAuley" who contributed 2s 6d to the central memorial window unveiled on 9 November 1902. My great uncle and aunt, taken on their marriage on 24 April 1911. Without children themselves, they brought up my mother and her siblings following the early death of their mother, Sarah Ann McCauley. My great aunts, Eleanor Mary Martinsen (nee McCauley) 1893 - 1969, Margaret Isabella Ladner (nee McCauley) 1882 - 1966 and Evelyn Allen (nee McCauley) 1885 - 1967. Taken at the golden wedding celebration for Margaret Isabella and Harry Ladner on 24 April 1961. Taken on the marriage of my grandparents in Kaponga, Taranaki, New Zealand on 4 August 1908. My grandparents, George Thomas McCauley and Sarah Ann Ford, were married in this church on 4 August 1908. The church has now been closed and re-located near New Plymouth for use as a wedding venue. My grandfather, taken in his prime. 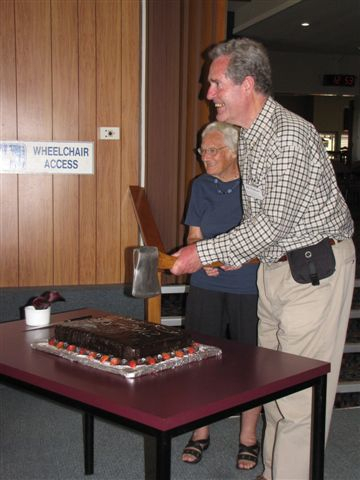 George was a world champion axeman. He died tragically, burnt to death in his wooden hut, presumably due to smoking in bed, on 19 October 1938. This gold medal was awarded to George Thomas, world champion axeman, for winning the "President's chop". George Thomas McCauley won the 2 foot world chopping championship in this park on Boxing Day, 1911 (see film clip). The photo was taken in February 2012. 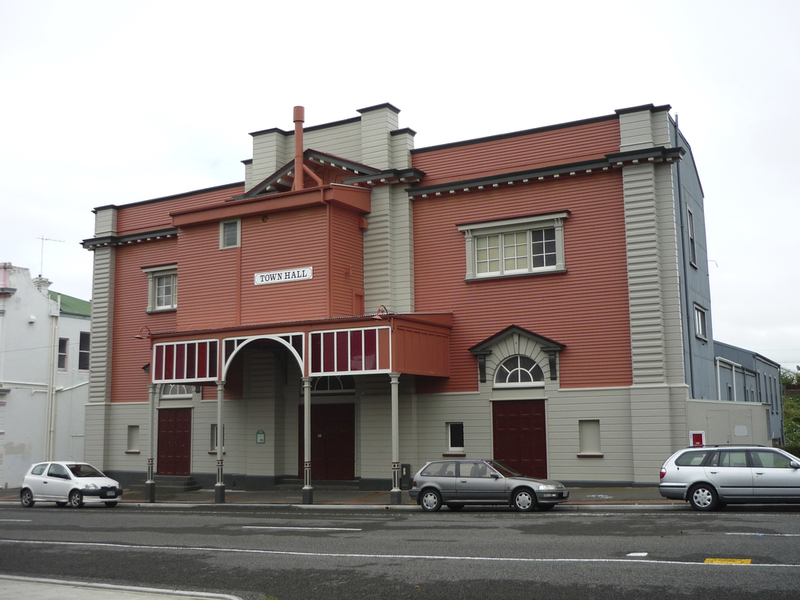 The hall where the film of the 1911 Eltham Axemen's Carnival was first shown in January 1912, two weeks after the event (see film clip of George Thomas McCauley winning the world chopping championship at this carnival). 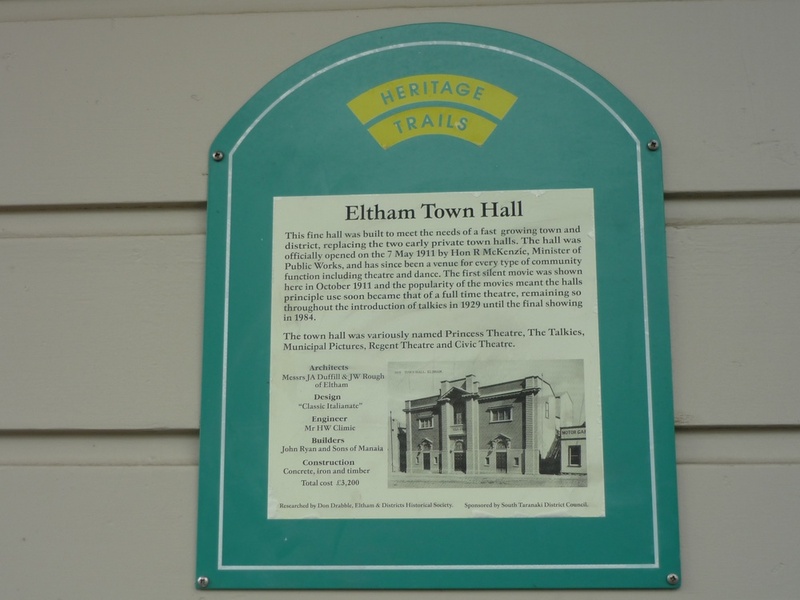 Information plaque now situated at this hall. In Taumarunui, New Zealand. Birthplace of my mother, Hazel Emily McCauley, on 28 September 1910. Women from the outlying districts, including Otunui, came to the house to give birth to their babies. My uncle (and godfather) John joined the RAF after the outbreak of war and was lost while a passenger on a Handley Page Harrow aircraft flying from Portreath, Cornwall, to Gibraltar on 19th December 1942. He, his father (George Thomas McCauley) and grandfather (John Jnr. McCauley) all died in accidents. My uncle and aunt, presumably taken at about the time of their marriage in London on 16th July 1938. 30 Belsize Square, Hampstead, London where John and Joan were boarding on the outbreak of WW2 in September 1939. There were five other people in the household at that time. Placed beside an oak tree in the Armed Services Wood at the National Memorial Arboretum near Alrewas, Staffordshire, U.K. on 21st September 2006. The wording is as follows: "In memory of Flying Officer John Glen McCauley R.A.F.V.R.118987. Born Kaponga, New Zealand. 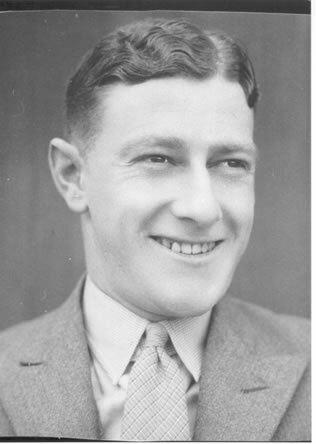 Lost over Bay of Biscay on 19.12.42, aged 30 years. Planted by his nephew and godson, Robert John Anderson". Memorials to my mother and stepfather in the rose garden for cremation ashes in Aramoho cemetery, Wanganui. My aunt Quita was the youngest of my mother's three siblings. She died on 18th September, 1967, at the young age of 44, shortly after this photograph was taken, leaving a husband and six young children.